Pasternack’s new voltage variable attenuators are in-stock and ready to ship today. 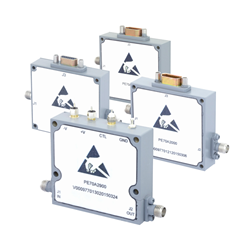 You can view the new VVAs by visiting http://www.pasternack.com/pages/RF-Microwave-and-Millimeter-Wave-Products/voltage-variable-attenuators.html. A leader in RF products since 1972, Pasternack is an ISO 9001:2008 certified manufacturer and supplier offering the industry’s largest selection of active and passive RF, microwave and millimeter wave products available for same-day shipping.